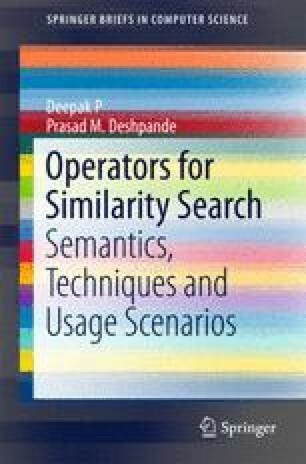 We present a simple framework for similarity search systems that enables expression of different similarity operators as a combination of aggregation and filter functions. We then describe the common aggregation functions such as weighted sum and N-Match followed by an overview of common filter functions including the threshold, top-k and skyline filters. We then illustrate how combinations of aggregation and filter functions form some of the commonly used similarity search operators.